Start earning more money today! Sign up for our agent affiliate program, the internet's premier agent program for selling travel and international medical insurance worldwide. Follow our easy sign-up process and you can be earning valuable commissions in no time. Earn $5 for every registered user from your website. Here’s how it works: When visitors from your website register at TravelInsuranceCenter.com, we’ll pay you $5 per registered user. Enhance your site while earning easy money! By linking to TravelInsuranceCenter.com, visitors on your site can research plans, receive immediate quotes, and purchase the best in travel insurance and other services. You’ll have access to our multi-million dollar online system designed for travel agents to earn valuable commissions by offering their clients the best in travel insurance from top 10 travel insurance providers. You don't have to have a website to use these time-saving, money-making tools. Whether your clients are traveling on business, vacationing, or are residing in a foreign country, you'll have the tools and products needed to provide their insurance solutions. Start selling insurance products and travel protection plans to your clients anywhere in the world. Once you are registered as an affiliate, we will provide you with access to text links, graphics, and banners for use on your website. We will provide step-by-step linking instructions and you can always contact us for additional assistance. The instructions will show how you can link to any page on TravelInsuranceCenter.com. 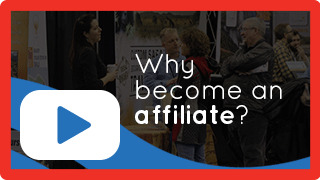 The affiliate program is absolutely free. Services include robust client management tools, detailed sales reports, sub-affiliate recruitment capabilities, additional service and support, and website services. There may be fees from your state’s department of insurance for adding the travel line of authority to your insurance license. You must be licensed in your state for travel insurance to earn commissions. What is the insurance agents and brokers affiliate program? The agent affiliate program is a web-based affiliate program designed to give insurance agents special access to TravelInsuranceCenter.com's unmatched portfolio of online travel insurance and protection plans. It's a way for travel agents and professionals to take advantage of the internet to generate extra revenue by protecting their clients' health, safety, and travel investments. Once you have your proper state travel insurance licensing in place, we will pay you commissions for each online travel insurance sale at TravelInsuranceCenter.com. It's that simple. As a licensed affiliate, you can track your sales and revenue in real time. If you have a website, we'll provide you with a selection of banners and graphics you can post on your site containing special links to our wide selection of travel insurance and protection plans from top-rated insurance providers. If you don't have a website, no problem. You can log in to our system, purchase plans for your clients and track your sales and revenue online. Insurance agents and travel agents of all nationalities are eligible to sign up and take advantage of the travel health agent affiliate program. TravelInsuranceCenter.com's travel protection products transcend all borders and are available to citizens of all nationalities, living and traveling anywhere in the world. Check with your state’s department of insurance for proper licensing. You must be licensed for travel insurance to earn commissions. We encourage you to link from multiple sites. The more sites you link from, the more sales you can generate and the more revenue you can earn. Our enhanced affiliate management services enable affiliates with multiple sites to create unique sub-affiliate IDs for each of their sites with unique sales tracking codes for each site. How do I track sales attributed to me/my site? The affiliate management area provides you the ability to monitor your sales activity and revenue. You will find current tracking information, including up-to-date information regarding registrations and payment information. Enhanced affiliate management services will provide even more tracking capabilities. We process affiliate payments monthly. Approximately 10 days into each calendar month, we will send you a check for commissions earned during the previous calendar month. If the total amount earned is less than $25, we will hold your commissions until they are equal to or greater than $25. You must be licensed in your state for travel insurance to earn commissions. Am I able to use the TravelInsuranceCenter.com graphics or content on my site? You may use graphics available on our pre-approved graphics and banners page. If you prefer, you may use text links such as "travel insurance," "travel protection," "trip protection," "trip cancellation insurance" and similar phrases. If you would like to incorporate substantial amounts of content from TravelInsuranceCenter.com beyond simple text links and/or approved graphics, we are happy to work with you, but we require that you contact us for specific approval. Safeguarding consumer information is a priority at TravelInsuranceCenter.com: We do not trade, rent, or sell the confidential personal information of our customers. Our site is a registered member of the BBBOnline Privacy Program. Click here for details on our Privacy and Security Policy. Contact TravelInsuranceCenter.com via email at affiliates@travelinsurancecenter.com. Your clients belong to you. When your client returns at a later time to purchase another product, whether through your site or any other site operated by TravelInsuranceCenter.com, if they log in to buy the product using their user ID, you will receive the commission due. With our free agent affiliate program, you provide a link on your website to TravelInsuranceCenter.com which can instantly turn into additional income. We provide graphics for linking, FAQ's, an electronic help desk, and basic sales reports. You say you don't have a website but still want to sell travel and international medical insurance to your clients? No problem. Sign up and use TravelInsuranceCenter.com to buy travel insurance for your clients and sales are tracked to your affiliate code.